Mariachis, folkloric dancers and an Elvis impersonator kicked off the grand re-opening of Joe Kneip Park in North Las Vegas on Sept. 17. 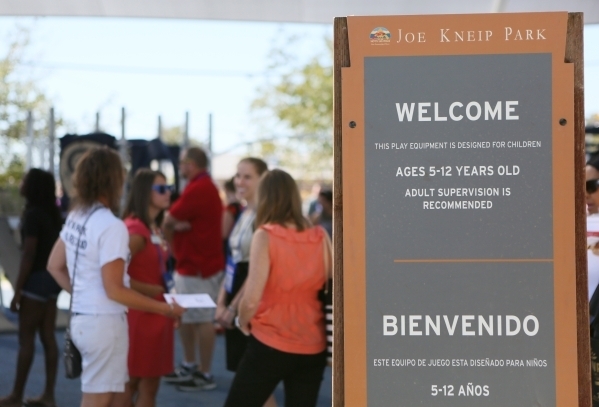 Mariachis, folkloric dancers and an Elvis impersonator kicked off the grand re-opening of Joe Kneip Park, 2800 Judson Ave., in North Las Vegas on Sept. 17. City officials celebrated the $850,000 renovation of the 50-year-old park complete with a new playground, splash pad and fitness area. 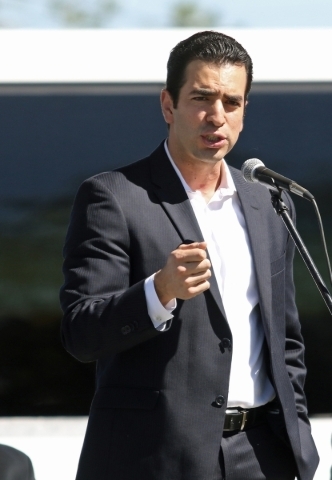 The project was done in conjunction with the organization’s annual conference, held in Las Vegas in September. The organization has a tradition of improving a park in the conference city as part of its Parks Build Community project. The city also used a creative effort to raise funds. Throughout May, residents were invited to show their support for the city and local community by donating money at fundyourpark.org. The association worked with its national partners and suppliers to provide equipment donations for the site. Now the park has a 30-foot-by-30-foot shade canopy structure for the outdoor fitness zone, a new canopy over the playground and new play amenities. 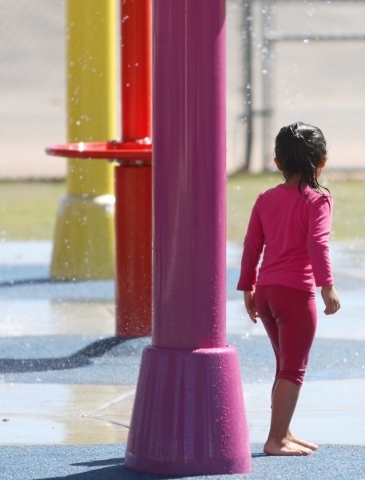 The park’s first splash pad was added using kid-activated timers. A five-piece suite of outdoor fitness equipment was also donated by Greenfields Outdoor Fitness Equipment. The park also received LED lighting targeting the basketball courts and other surrounding areas of the park. “This side of town is particularly urban, but that doesn’t mean that the people in this area don’t deserve access to the very best,” said North Las Vegas Councilman Isaac Barron. In addition, new tables, trash cans, park signage, grills and a custom restroom building were placed. 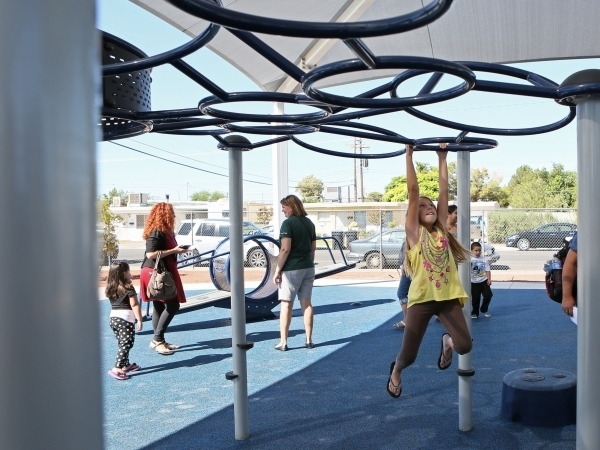 The park was built in 1965 and serves the neighborhood between Lake Mead Boulevard and Carey Avenue, east of Civic Center Drive. It is situated in the city’s older section of town and serves a community of low-income, single-family dwellings, Cass said. More than 4,000 children and families living near Kneip Park depend on the open space as a gathering place outdoors. However, the tough economy left the park in need of major improvements, Cass said. The park’s pergola was rotting away, the trees had outgrown the park’s bounds, and the grass field was parched. 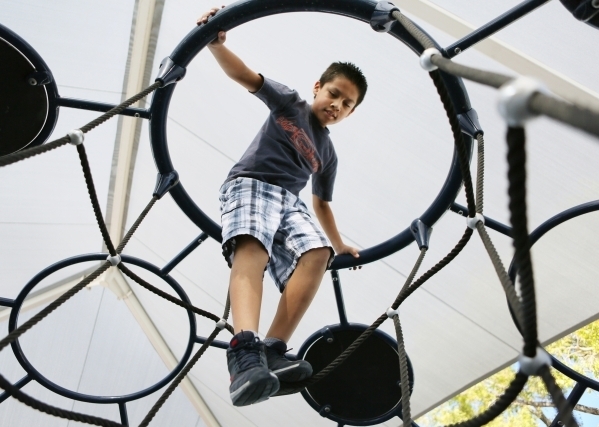 The playground, shade canopy and restroom have also repeatedly been the target of vandals. North of Las Vegas Chief of Police Alex Perez said he is calling on the community to help preserve the park and to call 311 if they see any problems such as tagging. Residents expressed their gratitude to have a park where their children can play in a safe environment. For more information, visit nrpa.org. To learn more about Parks Build Community, visit nrpa.org/parksbuildcommunity. — To reach North View reporter Sandy Lopez, email slopez@viewnews.com or call 702-383-4686. Find her on Twitter: @JournalismSandy. 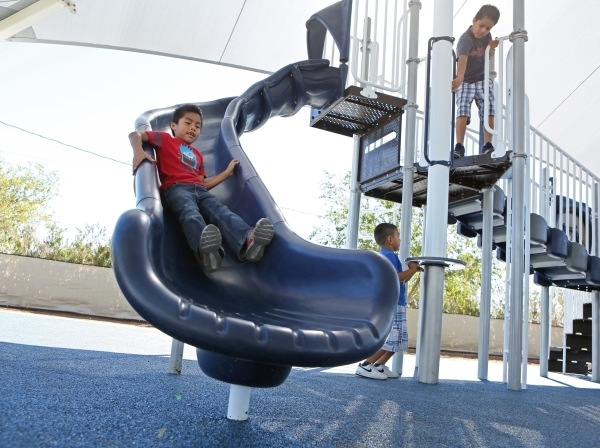 Built in 1965, the park received a newly renovated playground, splash pad and fitness area. For more information, visit nrpa.org. To learn more about Parks Build Community, visit nrpa.org/parksbuildcommunity.